Coldplay - Joe Satriani fans? Joe Satriani is suing Coldplay, claiming the band's song Viva La Vida uses one of his riffs. In court papers filed in Los Angeles on 4 December 2008, Satriani says Coldplay's song used "substantial original portions" of his 2004 instrumental If I Could Fly. The song featured on Satriani's album Is There Love In Space? 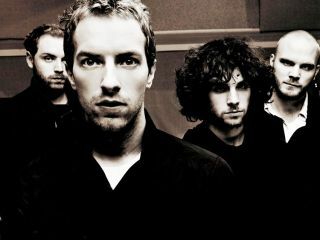 The Coldplay song was used by Apple in an iTunes advert earlier in 2008 and has recently been nominated for Record Of The Year in the 2009 Grammy shortlist. Satriani, 52, wants a jury trial and is seeking damages and "any and all profits" for the alleged plagiarism. MusicRadar predicted this six months ago, but will a jury really believe that Coldplay listen to Joe Satriani for inspiration? Make your own mind up via this Satriani vs Coldplay mashup.